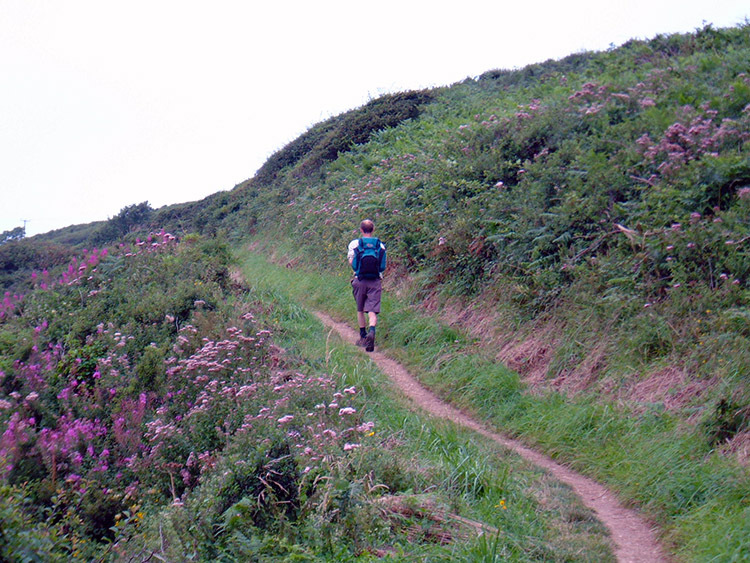 A personal record of my walk of part of the South West Coast Path in 2002 with written journal and photographs. Tracklogs for GPS units and for use with Google Earth are available for download for each stage. A nice gentle walk with fine scenery? Not likely! The scenery was as expected but the South West Coast Path is a gruelling walk and it proved to be as hard a test of endurance as any long distance path I have done. 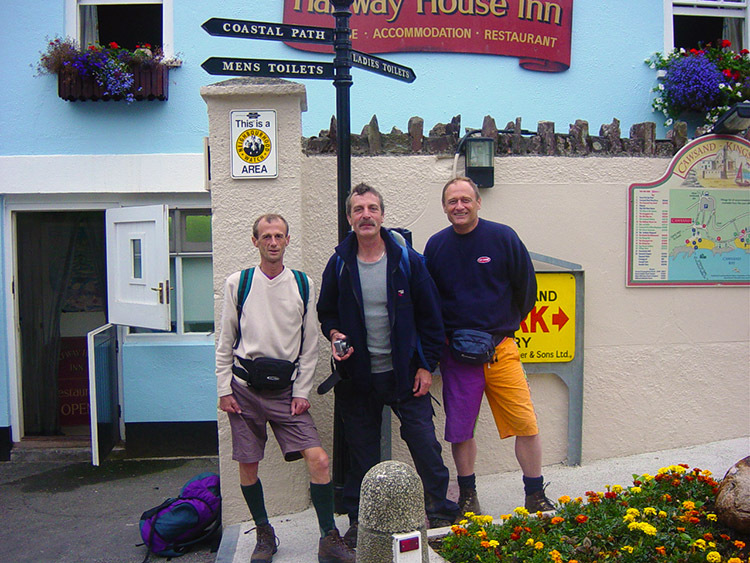 In the company of my brother Dave and good friend Steve I walked the south coast of Cornwall from Kingsand near Plymouth to Lands End, a total of 132 miles. Don't be deceived by the thought of walking on the sands at the seaside. This walk is tougher than most hill walks in Britain as you are often climbing from sea level to cliff tops at over 100 metres high and then usually straight back down again. Despite the many up's and down's it was a fantastic eight days and I would do it all over again given the opportunity. The South West Coast Path is 630 miles long and is so full of ups and downs that 12 miles per day is the average on takes. All in, that is over 52 days walking, a lot of time and commitment. I realise not all of us can take so much time out in one go so I recommend this alternative. 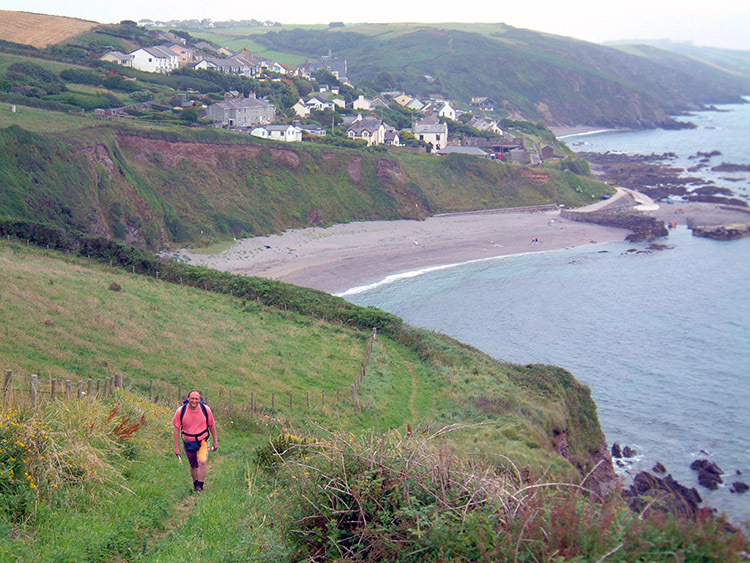 This Cornish Coast Path section allows a suitable section to be done in just one week. One thing is for sure, we all thoroughly enjoyed a great week of walking with plenty of challenges but lots of spectacular moments. I was in high spirits and excited at the challenge ahead. I felt good after the six days walking in Snowdonia and hoped the legs and feet would hold out during the next 140 miles walking in eight days. They had failed me on my two previous long distance coast to coast walks and although I completed both it was not exactly pain free. I think the real difference is the heavy weight you have to carry on your back, because on long distance walks you live like a snail, your house goes with you. 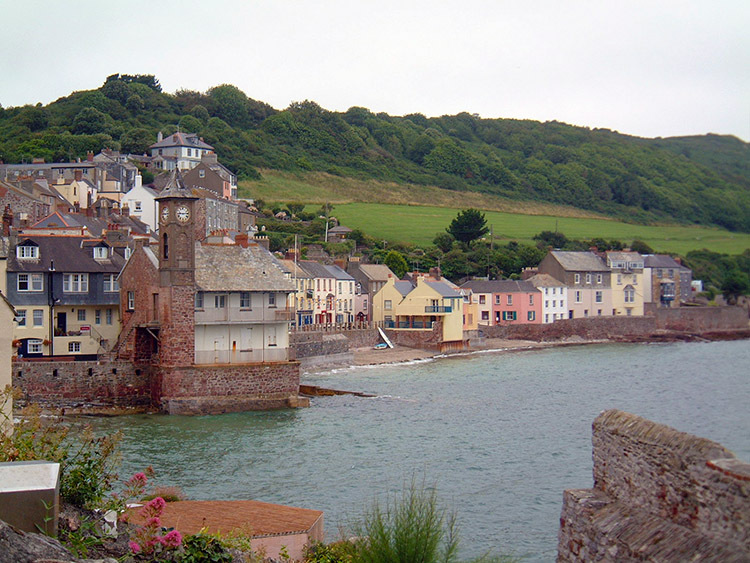 Anyway, Wales must have helped somewhat so I felt confident as we set off from Cawsand. 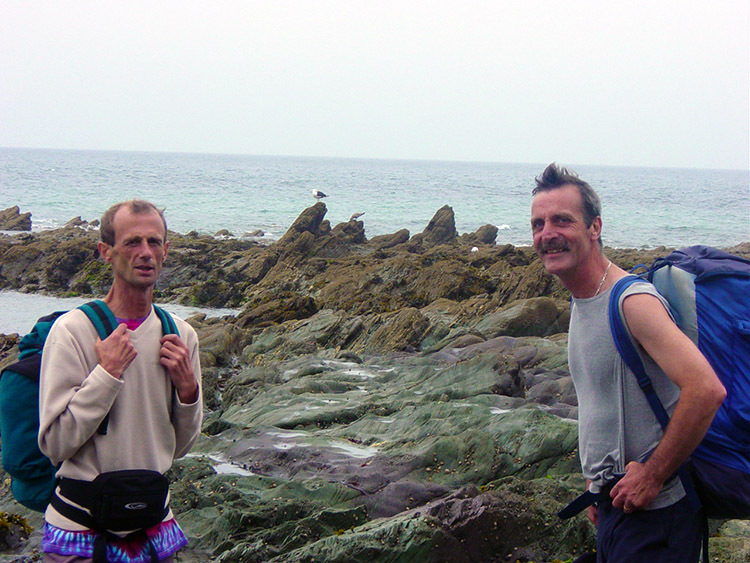 Away we went and true to form Steve and Dave marched off out of Cawsand towards Rame Head. I let them lead the way and took several pictures of both the two of them and the scenery. The wooded avenues were beautiful and even though it was a misty start I can already sense the scenery was going to be spectacular. 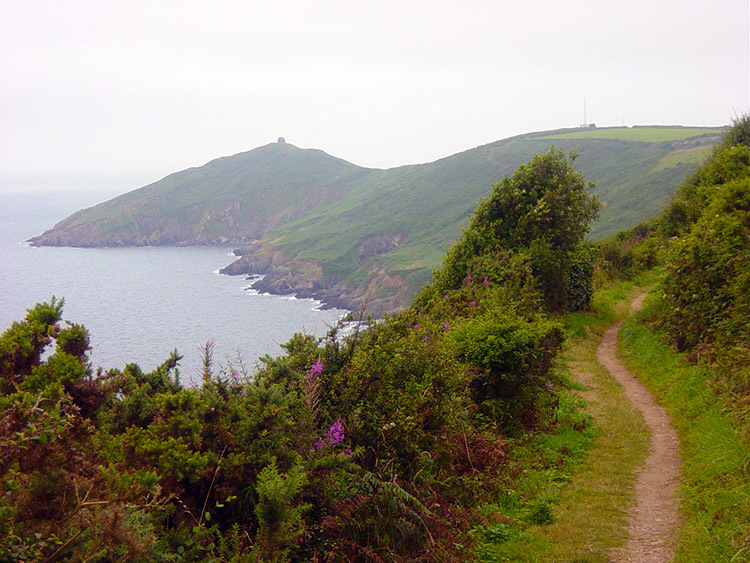 Rame Head with it's old chapel stood on top of it hill acted as a homing beacon. We reached it and I felt inspired. After a brief pause we walked the coastline to Freathy with its ugly wooden chalets that litter the coast. 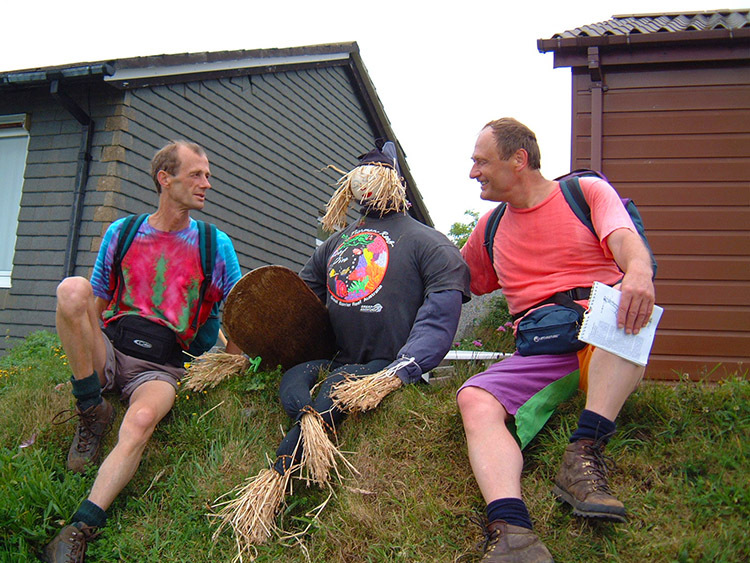 We climbed to the road and met a scarecrow. Steve took a picture as Dave and I talked to it. After Freathy it was on to Portwrinkle but not before I took my first of many detours. Dave and Steve followed the road around a military coastal firing range. I ventured down to the coast, as the red flags warning of firing were not flying. This indicated it is permissible to walk but I was not sure how to get out and having no map (I was to remedy this) I headed back up to the road and followed the signs to Portwrinkle via the quaint village of Crafthole. At Portwrinkle I met up with the lads where we broke for lunch before heading off towards Downderry. We reached the village by making a seemingly endless zigzag drop from height via a hedged lane. At Downderry we stopped at a cafe for a refreshing afternoon tea. 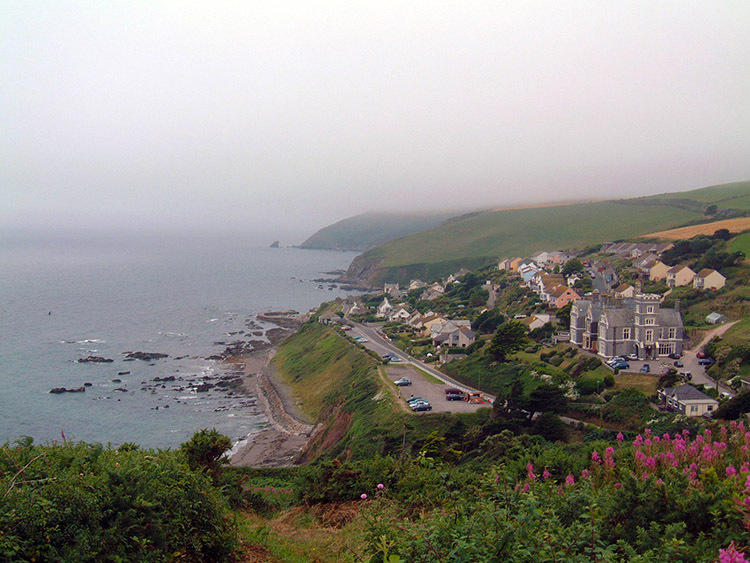 As we left the village and headed towards Seaton the guide indicated we could walk on the beach, our first opportunity to do so after coastal tracks, cliff tops and roads. 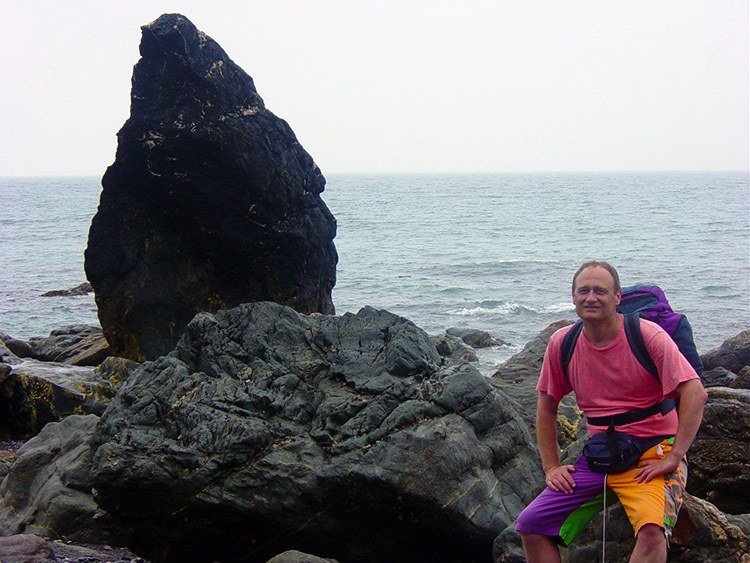 We elected to do so and spent the next couple of hours having fun on the beach and negotiating the odd rock outcrop. We even met a chap collecting driftwood from a Russian shipwreck to make picture frames. It was a fantastic afternoon. 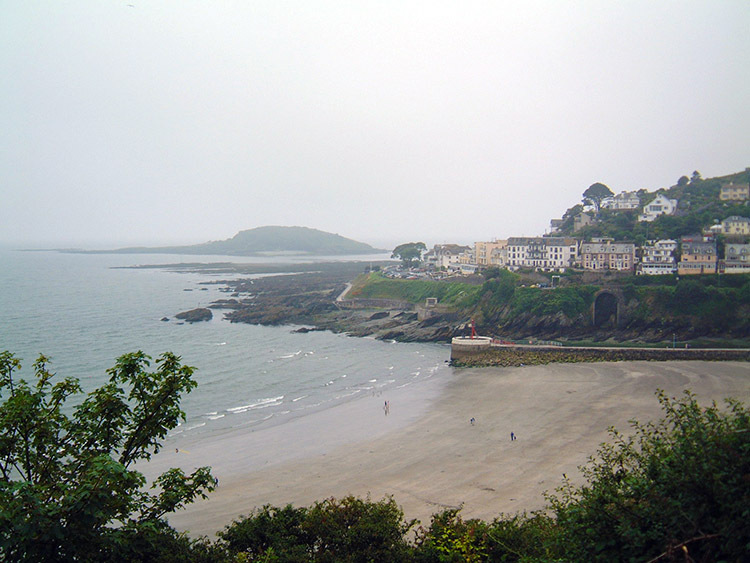 I felt great as we left the shore and crossed the cliffs for the last mile into Looe. We virtually walked into our accommodation as we entered the resort. I had no aches or strains yet. Pubs in the evening were pretty much as you would expect in a tourist town and we found some live entertainment in one of them. The guitarist was OK. He was no Hendrix however and his song list was grim. Despite our musical disappointment we all enjoyed a fantastic curry after the pubs.